PLEASE NOTE. Anyone dealing with vapore0n/ kyogree/ oreyo please halt all transactions whether through PM, comment, or email. Cancel all sales/trades, refund all money, and cease further contact. Even if harassed or begged, do not send any messages or replies. This is not a punishment towards this member, we are doing this in an attempt to aid them, and I am acting on the advice of health officials. I need everyone's cooperation so please be sure to follow these instructions if you are dealing with her or receive a PM. Thank you. The community sticky has been updated with more information and my request for all members. Please have a read if you have been dealing with the member/s vapore0n/ kyogree/ oreyo or got a message from her. If you have not, carry on, and enjoy your day, and I apologize for all of this. Auction ends today at 6! so BID BID BID! Click that link to head over to my auctions, I have a ton of old tomy's in decent to good condition up for auction, a lot still don't have BIDS! no kids have bids yet! I'm donating 25% of what I make in this auction to The red cross- colorado devision to help those that have been affected/ working to stop the fires. 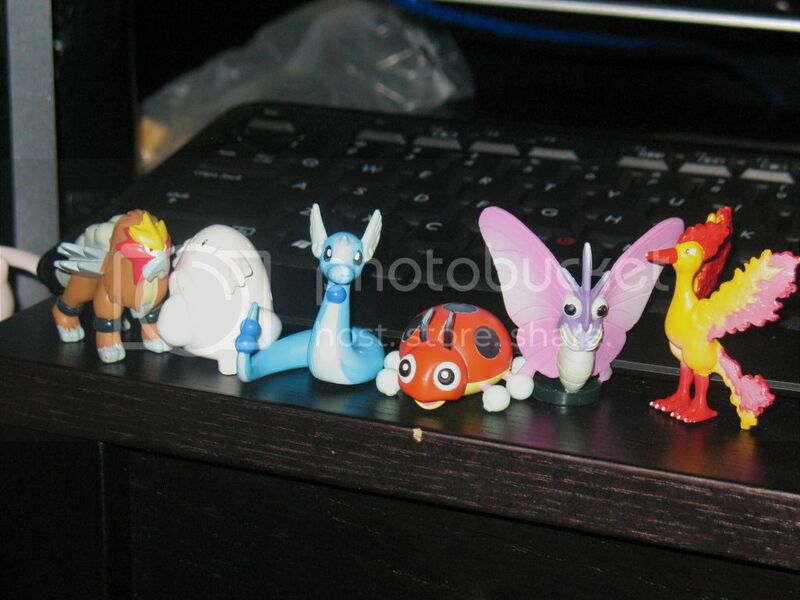 So since everything has started out so cheep it's your time to grab some older tomy's! a lot of the more popular ones are still at starting bids! Heres some teaser pictures. There are more Tomys, over 100 i believe. So one help colorado out, two help me out too, they are taking up our limited space! 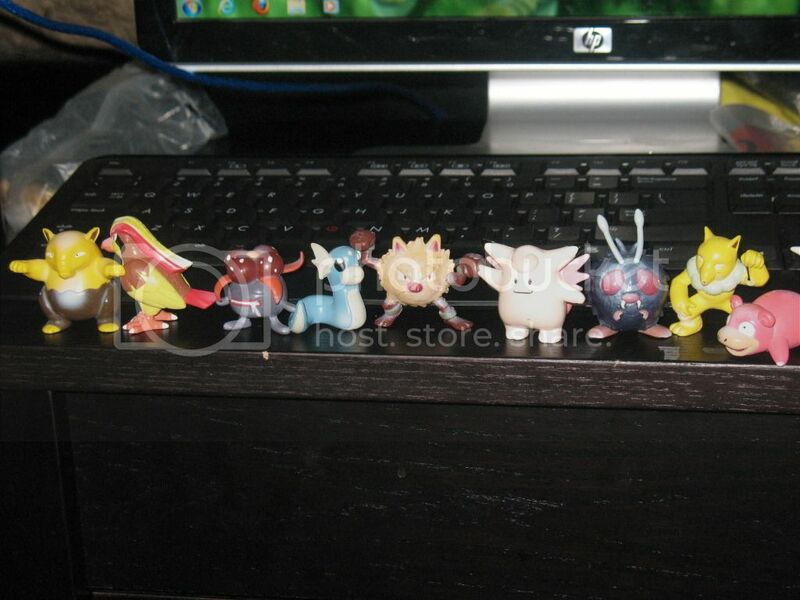 PKMNcollectors Official Master Shops List! This post's purpose is to archive a list of community member shops! All we ask is that you follow the rules below and submit your shop in a comment. Shop Name: Put the name of your shop here. Status: Please put what the current status of your shop is, be it open, on hiatus, etc. Tags: Put up to 10 tags here. Choose any Pokemon or Pokemon Trainer. If you only sell pokedolls, zukans or tcg (for example) you may use these terms as tags instead of specific Pokemon or Pokemon Trainers. Banner (optional): Put a link to your site banner here. Must be 200x40. This list is open to anyone who is a member of our community so long as your shop is focused mainly on Pokémon and is compliant to our community guidelines. NoteThat if your permanent sales are on the community rather than your personal journal, non-Pokemon merchandise is not allowed. Please go here to review our community guidelines. Your shop must be working and active (hiatus is okay as long as you plan to open again sometime in the reasonably near future). Random reviews will occur and if your link is found to be dead or inactive it will be moved to the revoked status for 30 days and you will be notified. If no action is taken on your behalf to make your listing active within this timeframe it will be removed from the Member Site Master List and you must reapply if you want your shop or permanent sales post to be relisted. What makes a shop inactive? If it has gone a long time without updating or declaring hiatus status, has broken images, ect. don't have a shop banner? You can easily make your own shop banner by saving this template to your computer and adding your own images and text with your favorite photo editing program. Open - The shop is currently open. Coming Soon - The member has indicated that the shop is under construction, and should open in the very near future. Hiatus - The member has indicated that the shop is on hiatus, and should reopen in the very near future. Closed- This shop site is currently closed. Approved - Your shop or permanent sales post has been reviewed and will be added to the Master List. Denied - Your shop has been reviewed and is not eligible to be posted on the Master List. A reason will be provided. Revoked - Your shop has recently been reviewed and no longer meets eligiblity requirements. You have 30 days to respond with a working and active link or your site will be removed from the Master List. The Arcanine line is one of my grails (the other being the Flygon line) as Arcanine is my 2nd favourite Pokemon after Electivire. My top 5 Pokemon are Electivire, Arcanine, Pidgeot, Flygon and Gyarados. I have been looking for this set for months now and every time I post about it someone else will post that they are looking for it just after me or not long after and get a response straight away e.g. Chaos_21 ( from 99reddriflloons) and Dandan1404 (from Andredebrito). I am only after one of each of my Zukan wants, after that I will stop looking for them all together and let someone else get them for their collection. I am very flexible with the condition and whether or not the base matches. 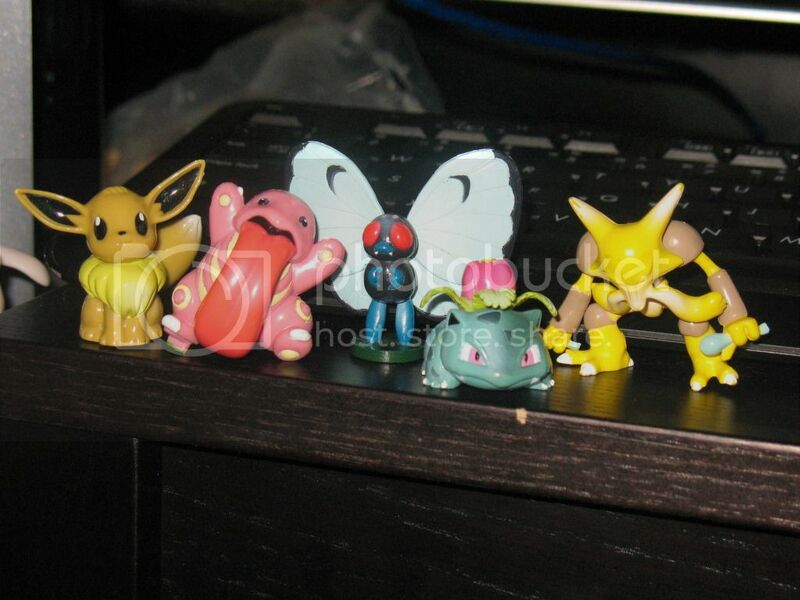 I don't mind at all about bases matching with the Pokemon names and the exact colour they original come with (I class mine as Green for RBYGSC, Red for RSE, Navy Blue for DPPt and Purple for BW/B2W2) and so long as the piece is whole and doesn't have overly noticeable damage I am happy to buy it. 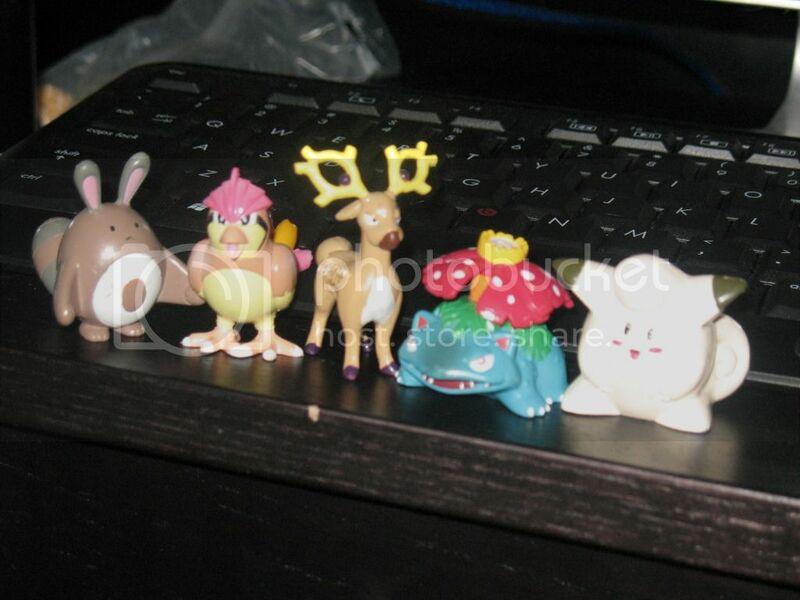 Most of the Zukan I have bought so far were either missing a base, peg or had minor damage, I have fixed them all since. Image came from Zukan Ranger™. Once I have completed my teams in Zukan form I will set them all up for a collection post in their respective teams. Meloetta Goods - Anyone Doing Pick Ups? I've cleared it with dewott and she said that I can repost. Hello everyone! I just wanted to make a fairly big wants post… but I'm after one specific item. Thanks everyone and have a great Sunday! Threads are up, bid away!! Anyone have any "Loved" Condition for sale? Please leave me an offer in the comments below! A solution for your issue has been suggested. Thank you for your patience as we addressed this issue! The Pokemon Support Team is unable to provide information regarding specific retailer locations as retail locations of kiosks and stores are decided upon independently. We recommend contacting your mall's information and support team for further information regarding what stores or kiosks may or may not become available soon. If you have any further questions, please feel free to update this ticket. We apologize for the inconvenience and thank you for supporting Pokemon! tl;dr: We can't tell you anything, sorry. But thanks for asking! I guess the only thing we can do now is wait, huh? I honestly hope that it isn't gone for good. 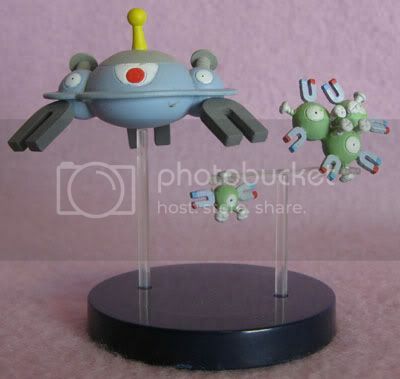 Maybe they're making it all awesome for the release of BW2? Right? we can dream, can't we? HI guy i am looking Magnet line zukan I am willing to spend about $8 perf with paper insert so it anyone and point me to one I would be very greatful. It's that time of the week! It's time to roll that 649-sided die, it's time to find out the Pokemon of the Week!! So cross your fingers and hope for your favorite!! 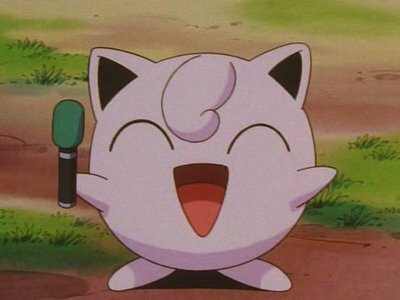 This week's pokemon of the week IS! #288, Vigoroth!! Which includes Slakoth and Slaking as well. :) Even if you only have one item, take a picture and show us!! Those of you with collections, show them off! 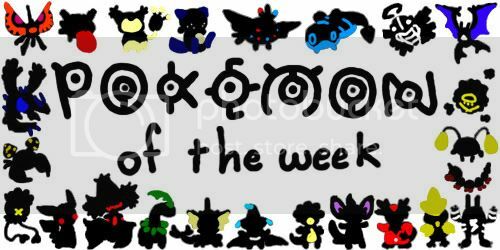 The idea of Pokemon of the Week is to show as much merch for the line as possible, so that others can get a better understanding of what merch exists for these pokemon!! :) So let's give it up for these cuddly sloths! Does anybody know if there is an official Breloom plush? I have been looking and looking, and I can't seem to find one. Any help/pictures would be appreciated. 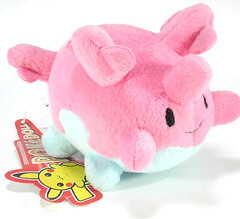 Hey everyone, T-minus 12 days until the Dark Knight trilogy concludes and blows our faces off in the process, but in the interim, I was wondering if anyone has the pink coral pokedoll with its tags, and It strickly has to be through the users here, becuse i know there's a few on ebay and whatnot. thank yous for anyone who helps in my ever-going process of getting johto's finest. 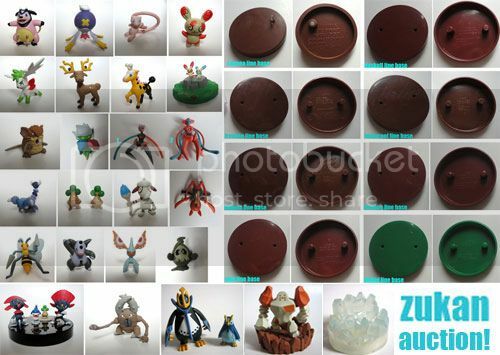 zukans and bases auction round 2! Hi!! bids closed!! thank you everyone!! Up for auction are some great zukans from diferent sets. Some bases and some loose and a complete line. In good condition, check the pictures for details under the cut. If you have a question, please feel free to ask in the “question/comments” thread! All the threads are set. Good luck! !